Though it confirmed what we long suspected and had some evidence of, last week’s admission that the Special Demonstration Squad spied on at least 18 family justice campaigns over a period of decades is still profoundly shocking. For families to know they were the specific targets has been deeply upsetting; they were told to trust police who said they were there to help but actually undermined them. Being merely informed is not enough. Whistleblower Peter Francis has called for all families affected to be given full access to the complete files so that they may judge for themselves why the data was amassed. The revelations reinforce the need for such families to be fully included in the forthcoming public inquiry from its earliest stages. 4. Assure us that the practice of police “spying” of family justice campaigns has stopped. Please help to amplify the Reel family’s call for justice by signing the petition and sharing it. Once again Operation Herne – the police’s self-investigation into the political secret police units – proves its irrelevance. 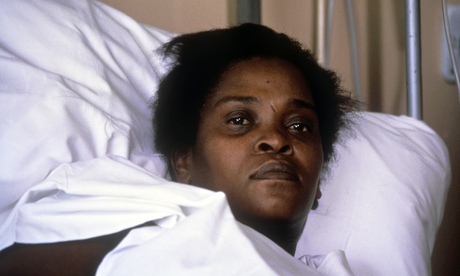 After the admission earlier this year that police spied on the Stephen Lawrence family campaign, the new report, the third from the Herne team, concedes that for at least 20 years police gathered intelligence on 18 more families who had justice campaigns for their loved ones, including Jean Charles de Menezes and Cherry Groce. The report (PDF here) plainly says this had no operational purpose in preventing crime. Clearly, then, it is about undermining people who might embarrass the police by exposing what they have done. The report’s author, Chief Constable Mick Creedon, claims that the intelligence was not searched for, it was incidentally gathered by officers infiltrating other campaigns and then kept for no particular reason. This accident happened to one campaign after another over a span of decades. He acknowledges that even he knows this is an unlikely explanation, admitting it ‘must seem inexplicable’. Equally implausibly, he says that it appears the Special Demonstration Squad were just amassing information and there is no solid documented evidence of sending infiltrators into the families. Firstly, much of the secret police’s information was never written down. Secondly, a great deal of the material that did make it onto paper has been shredded. Indeed Creedon concedes that, had proper procedures been followed, the evidence of spying on the families would have been shredded. It leaves a simple question – why would the infiltrator unit be gathering information on people who weren’t targets for infiltration? The whistleblower Special Demonstration Squad officer Peter Francis has described his infiltration of justice campaigns. 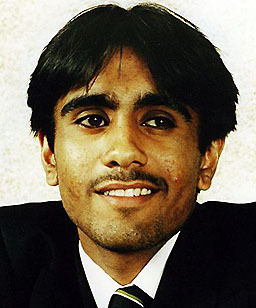 After his revelations, police threatened him with prosecution under the Official Secrets Act. Most of the information is not on paper, only in the minds of the people who did it. The truth can only come out if former officers are compelled to give evidence under oath without fear of self-incrimination. We know that these 18 families are not the only ones. It also raises the question of how many other bereaved families seeking justice have been spied on. Police have already released details of their surveillance of on Janet Alder whose brother was unlawfully killed by police officers. Several Hillsborough families are certain they were spied on. When it’s happening on this scale over such a prolonged period it’s hard to see it as anything other than an active policy. For Operation Herne to once again rely solely on what surviving papers it can find proves that it is little more than a police damage control exercise, admitting a few of the smaller outrages in order to shore up the denial of the larger ones. The forthcoming public inquiry is clearly a more serious and rigorous proposition. The public inquiry supercedes Herne, leaving it without any purpose apart from perpetuating the extra injustice of focusing on reputation protection instead of facing the facts. A week after the landmark court ruling that ended the police’s blanket use of the ‘Neither Confirm Nor Deny’ policy, another significant step towards justice for victims of Britain’s secret police was taken at the High Court yesterday. Since the construction industry blacklist was revealed five years ago, hundreds of workers who were on it have been pushing for answers, compensation and assurance that the practice has ended. Under the banner of ‘Own up! Pay up! Clean up!’, they’ve been demanding a credible inquiry and putting pressure on the firms who not only used the illegal database but whose information – ably assisted by Britain’s secret police – formed the content of the blacklist files. Individual workers have been taking cases against specific companies, but it hasn’t brought results. It has parallels with the cases being brought by women who were deceived into long-term intimate relationships with undercover police officers – as horrific and outrageous as the instances are for the individuals involved, they are part of a wider strategic pattern. To get justice, we have to tackle the concerted effort rather than any one manifestation. Rather than sue the officers who abused them, the women are taking action against the organisations who authorised it. By the same token, the blacklisted construction workers came to court yesterday seeking a Group Litigation Order putting the hundreds of workers together in one case against the firms involved. The hearing brought good news – the Group Litigation Order was granted. The victims of the list and the unions backing the case – UCATT, Unite and the GMB – can formally combine their efforts and, more than five years since the illegal list was exposed, the stalling tactics of the culpable can finally begin to be brushed aside. The case returns to court for a case management hearing in October with a further hearing provisionally set for December. Last week eight major construction firms involved in the industry’s blacklist made a fresh attempt at giving compensation for their illegal activity and the hardship it caused. It has been roundly dismissed by the workers and unions. The construction blacklist was run by a company called the Consulting Association. When the Information Commissioners Office (ICO) raided in 2009 they found 44 firms had used it including most of the big names in the industry. More than 3,000 people were on the list, many with files dozens of pages long including information about their family. Virtually everything in my file relates to where I have raised concerns about health and safety, asbestos, toilets overflowing on building sites and a young lad falling off the third floor of scaffolding… Throughout my file, there is nothing that mentions my doing anything other than raising concerns about health and safety, conducting normal trade union activities, giving interviews to various organisations and raising concerns about unpaid wages. Nowhere am I accused of doing unofficial strikes or anything like that; that just isn’t the case. Whilst most information came from employers, the files also included material that could only have come from the police or MI5. The Independent Police Complaints Commission has conceded that it was likely to have been a routine part of Special Branch work across the country to supply this illegal list. Undercover police whistleblower Peter Francis says he not only infiltrated anti-racist organisations and was sent to find material to smear Stephen Lawrence’s family – he also believes his intelligence was used for the construction blacklist. The undercover National Public Order Intelligence Unit (NPOIU) that deployed the likes of Mark Kennedy was only one of three units run by the Association of Chief Police Officers. They also ran the National Domestic Extremism Unit that collated the intelligence from NPOIU officers, and the National Extremism Tactical Co-ordination Unit (NETCU) which advised companies who were the target of protesters. It is known that NETCU met with the Consulting Association but the ICO is refusing to release the details of what went on. 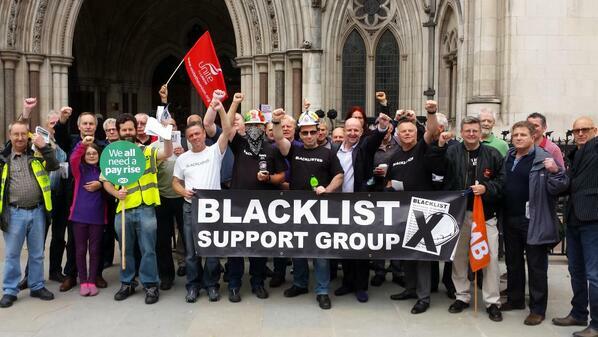 The Metropolitan Police initially dismissed a complaint from the Blacklist Support Group alleging police collusion but, following publication of a posthumous interview with the Consulting Association’s Ian Kerr detailing a meeting with a ‘key officer’ from NETCU, they’ve launched an investigation. There can be no credibility in yet another self-investigation from police who’ve already demonstrated their reluctance on this issue. The scale of the blacklist is staggering. In the period between 1996/7 and 2003/04, the Carillion group, (trading as Tarmac/ Carillion/ John Mowlem) paid £83,161.00, and was then the third largest supporter and user of the blacklist. This spending broke down as an annual fee of £3,500, plus a fee of up to £2.20 per name to check information on the unlawful database. At £2.20 a time, it means they made nearly 30,000 name checks – and there were two even larger users. As the list was secret, there was no way to check the veracity of the information, nor to get off it. Workers were cast out of their trade for life. Some people were never in the trade – one was a teacher who had a file due to being on an anti-racist demonstration. Around 200 environmental activists also had files. Ian Kerr, the man who was paid £46,000 a year to ruin thousands of lives with the Consulting Association, was fined £5,000. The companies who paid for it were let off with a warning. The eight of those firms in the compensation offer make pre-tax profits of over a billion pounds a year. People had breakdowns, some attempted suicide. Some changed their identities to try to get work. Whilst the companies have issued a statement saying they believe were wrong to use the list, the insultingly paltry figures in this attempt at a settlement suggest otherwise. It appears that their only real regret is that they have been caught. The construction blacklist is yet another example of different pillars of the establishment unethically and illegally working in concert to protect their position. It is further proof of the anti-democratic remit of the undercover police who sought to stifle active politics on the spectrum outside the sliver that is represented in the House of Commons. The construction workers’ fight for truth and justice is another facet of the same struggle of the black justice campaigns, environmentalists, social justice activists, anti-fascists and others who were spied on and abused by Britain’s political secret police. The case is back in court next week (hence the timing of the new offer of compensation). 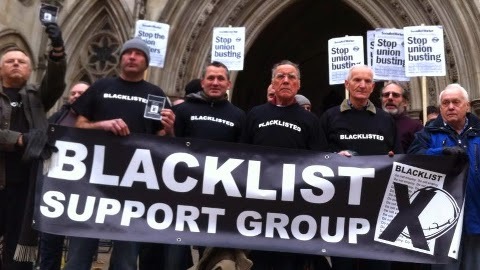 The blacklist Support Group has organised a protest outside the hearing which has already had pledges of support from union members from UNITE, UCATT, GMB and the RMT as well as environmental activists. When: 9-10am on Thursday 10th July.